The much awaiting version of Microsoft’s next OS update Windows 10 may take a while to see its official release but Microsoft has revealed some of its features. Features like upgraded version of software like Microsoft Office, Skype and addition of a new browser in addition to internet explorer are worthy to mention but a notable announcement in the area of security and privacy is inclusion of a password system called Windows Hello . The Windows Hello is a login feature that allows login to the Windows 10 enabled system using either face detection, fingerprint or iris recognition. The same feature will be used for authenticating apps, enterprise content, manage transactions and other similar activities involving a password verification. The most important advantage of Windows Hello is that as it utilizes biometric sign in technology, there’s no risk of password being hacked. The traditional passwords are stored in system files and can be traced by security breaches. Also, traditional passwords are quite a task to remember and manage. The Windows Hello from Microsoft will employ bunch of certain hardware and software to accurately identify the authenticity of login. For example, a fingerprint scanner may be used to enable touch and login to the device. The face detection and iris recognition might use the web camera along with some powerful technology. One such technology is Infrared Imaging which helps in recognizing you in different lighting conditions. This will also ensure that a picture or replica of yours can’t bypass the log in effort and a proper authentication will be carried out. In certain cases the traditional passwords may be still required as a case when we want to set up the whole biometric system or use third party services using your device. 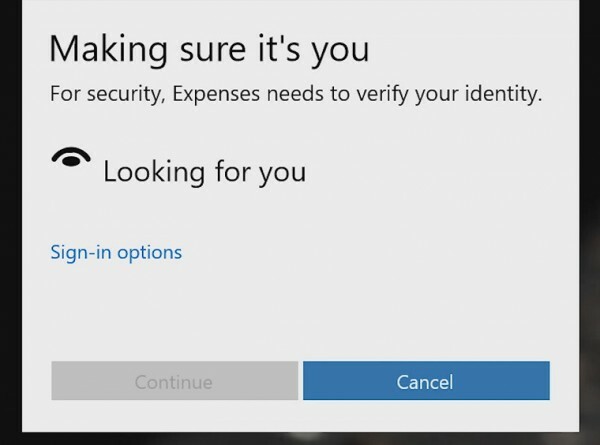 Microsoft is planning to integrate an opt-in technology along with the Windows Hello which can prevent the need of conventional passwords in above instances. This feature will be named as Windows Passport. Microsoft has started testing the Windows Hello in different platforms and for a variety of Apps. The other major OS giants like Apple, Samsung, Blackberry etc. has already been into using biometric methods of logging into its various devices. Hopefully, we can expect that Microsoft will extend the Windows Hello feature to tablets and smartphones too, apart from PC’s and Laptops. The new initiative from Microsoft will certainly boost the security as there will be no shared passwords on network servers or your local device and hacker can’t access anything. It will also attract its use in certain big organizations and security specific tasks.